Chinese scientist He Jiankui shocked the world by announcing he edited the genes of two twin sisters, Nana and Lulu, but now he may be missing. Last week, Dr He received scathing criticism from doctors and academics for using a gene-editing technology known as CRISPR-Cas9 to alter the embryonic genes of twin girls in an attempt to protect them from infection with the HIV virus carried by their father. 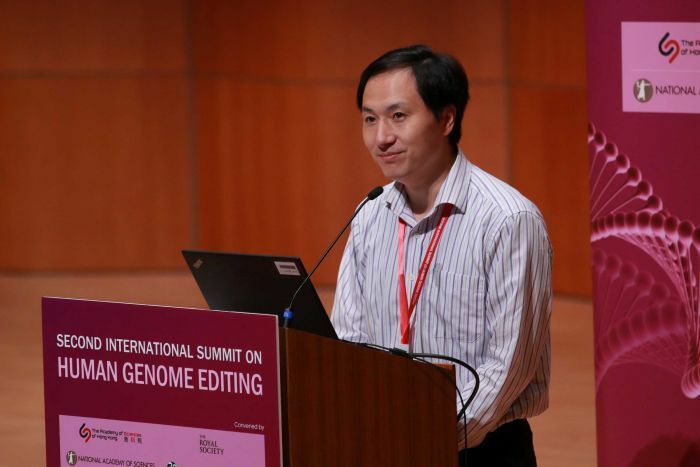 An associate professor at Southern University of Science and Technology (SUST) in Shenzhen, Dr He defended himself at the Human Genome Editing Summit in Hong Kong, saying he was proud of his work. But after hundreds of scientists, the Chinese Government and even his own university denounced him, Dr He has seemingly disappeared and has not been heard from since last Wednesday. Heads of the State Health and Health Commission, the Ministry of Science and Technology, and China Association for Science and Technology said the incident was “extremely abominable” and the relevant units had been asked to suspend their scientific research activities. The university denied Dr He was detained, telling the South China Morning Post “nobody’s information is accurate” on Dr He’s whereabouts, but refused to provide any details. Yet Dr He’s office in the university was closed off by the biology department, which replaced Dr He’s name plaque with two pieces of paper stating “please don’t walk in, otherwise it’s at your own risk”, according to China’s state-owned media Zhejiang Daily. A journalist from Zhejiang Daily was told by Peng Chen, the director of Shenzhen Vienomics Bio Tech — a company co-founded by Dr He in 2016 — they have not been able to find or contact Dr He since the news of his research went viral. The ABC has attempted to contact Dr He on his mobile phone multiple times, without any luck. 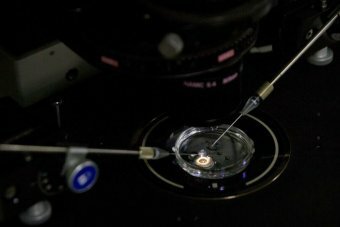 Human gene editing more than a one-man show? While the hospital, university and other scientists have all distanced themselves from Dr He’s study following the backlash, his previous work in gene editing has been highly applauded and supported by a range of investors. According to the South China Morning Post, two of Dr He’s start-up companies received at least $60 million in funding from Chinese and international investors. Before the birth of the first gene-edited babies, and the viral backlash, Dr He was well known for developing a third-generation, single-molecule sequencer with his start-up Direct Genomics. Direct Genomics, which Dr He launched in 2012, announced last year it was now mass producing the sequencers, shipping out hundreds of orders worldwide. As well as private investment, Direct Genomics received $1.2 million in financial support from the Shenzhen local government. Dr He is named as the legal representative on six different technology companies — including Direct Genomics — and is the biggest shareholder of Shenzhen Nanke Life Science and Technology, with a 45.5 per cent stake in the company. “Because our company has become more influential and expansive, [the school] gave me special permission to keep my position without pay for two years,” Mr He said in an interview with China Youth Daily. In the interview, Dr He also confirmed the university takes on 10 to 30 per cent of any teacher’s commercial equities, meaning the university is financially connected to all of his private ventures. On top of the funding from multiple investors, Dr He has also received an abundance of support through Beijing’s Thousand Talents Program, a plan launched by the Government in 2008 to attract top scientists to China in a push to make the nation a global innovation leader. The Thousand Talents Program predominantly targets elite Chinese scientists, academics, researchers, and entrepreneurs who have studied and worked in top overseas institutions. They are offered top positions at Chinese universities and given large budgets to carry out important research, particularly in fields that could eventually win them, and thus China, a Nobel Prize. Dr He was recruited as part of the plan in 2012, after training in the US at Rice University and working under bioengineer Stephen Quake at Stanford University. With the support of the Thousand Talents Program, Dr He set up his own lab in Shenzhen to pursue his interest in gene editing and apply knowledge he acquired from US experts including Stanford bioethicist William Hurlbut and University of California’s CRISPR pioneer Jennifer Doudna. While Beijing touts the Thousand Talents Program as one that will improve global science, other nations have been sceptical of the scheme. In an unclassified analysis by the US National Intelligence Council earlier this year, the government body claimed the Thousand Talents Program was designed “to facilitate the legal and illicit transfer of US technology, intellectual property and know-how” to China. US President Donald Trump has accused Chinese companies of stealing US intellectual property, but Beijing has denied it.